go to TRI-O Russian Page! 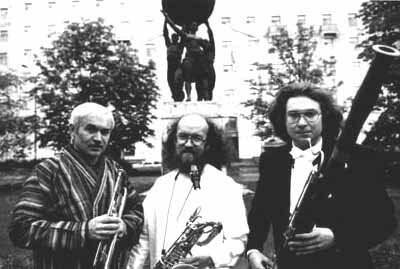 TRI"O" was founded in Moscow in 1985 by Sergey Letov, Arcady Kirichenko (tuba) and Arcady Shilkloper (French horn). 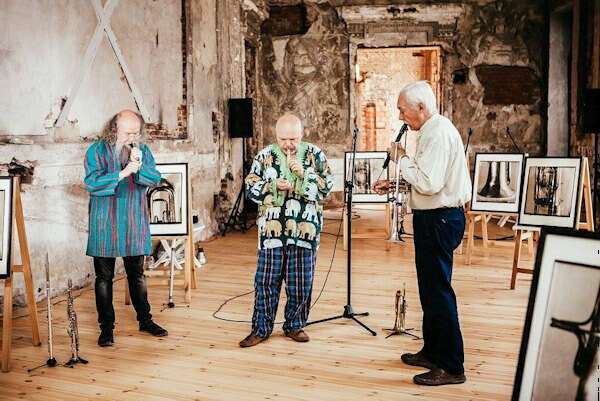 The first performance took place at art exhibition of the avant-garde group "21". Alexandr Alexandrov has come in 1989 and Yury Parfionov - in 1992. 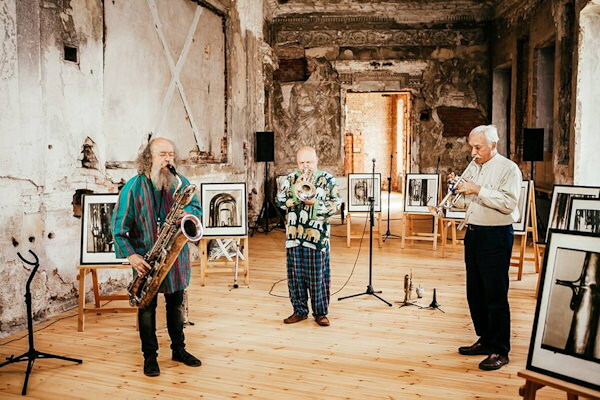 Originally ensemble has won a recognition among the underground artists - playing at art exhibitions, literary evenings, happenings, modern art festivals, etc. 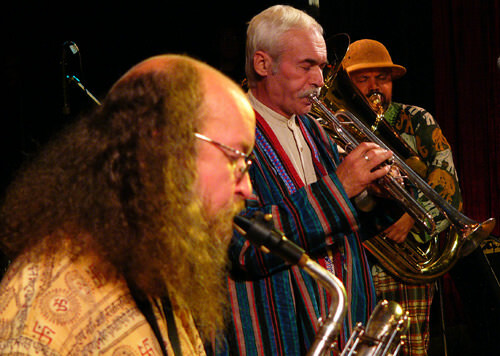 Of course, one needn't be an Afro or American derivative to employ the structure, strategies, and freedoms of jazz. 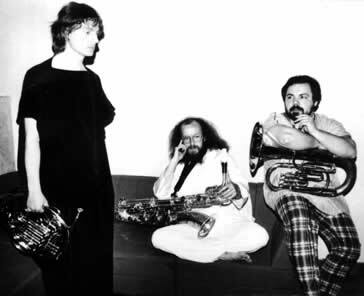 [...] particularly provocative small unit - Trio.., led by soprano sax/flute/bass clarinet Sergei Letov.... delved deeply into themselves for motives and vocabularies. 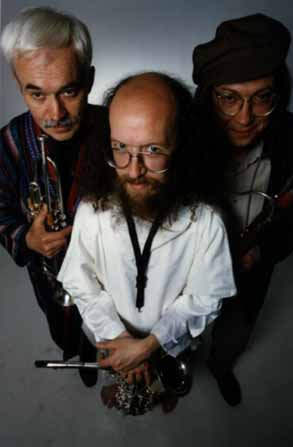 They emerge with music based on personal and social experiences, generated by the same faith in spontaneous, self-aware utterance and life's vital pulse that gave rise to the earliest and sustains the newest jazz." TriO and Sainkho. Forgotten Streets of St. Petersburg. Leo.